Rely on these lace-up, leather work boots for the foot protection and support you need to get the job done. They extend to various heights above the ankle, providing support to the ankle and a secure fit to resist pulling off. A variety of styles in men's and women's sizes are available, including 6" and 8" ankle heights, logger, and linesman. Some boots have features such as shanks for arch support, removable insoles, puncture-resistant soles, and extra heel cushioning. The traditional choice, these leather work boots have the durability and comfort you need on the job. They are for use in general industry, construction, and warehouse applications. Offering more coverage than a safety toe alone, these standard style boots have a metatarsal guard that shields the top of the foot to help prevent injuries. The metatarsal guard overlaps the edge of the toe cap, covering the metatarsal bone area to help protect against impact from falling objects. These boots meet ASTM F2413-11 specifications for metatarsal protective (Mt) footwear. Internal guards are built into the inside of the boot. External guards are attached to the outside of the boot. Made of leather that has been treated to resist water, these work boots keep your feet dry in wet conditions. They provide the fit of a standard work boot plus waterproof protection. The tread of these boots grips onto surfaces to help you keep your footing and resist slipping and falling. These standard style boots are typically used in wet, soapy, greasy, dusty, and other slippery environments. When you are working around liquids that can degrade typical outsoles, these standard style boots have outsoles that resist various chemicals and oils. They are commonly used in environments such as petrochemical and pharmaceutical plants, food processing plants, refineries, and laboratories. A variety of sole materials are available to suit your application. Help prevent foot injuries by wearing these puncture-resistant leather work boots. A plate embedded into the insoles resists punctures from nails, screws, wires, metal scraps, and other sharp debris. The insoles are cushioned for comfort. These boots meet ASTM F2413-11 section 5.7 specifications for puncture-resistant (PR) footwear. For work in cold environments, these standard style boots have a thermal lining to keep feet warm. The higher the gram rating, the greater the insulation. 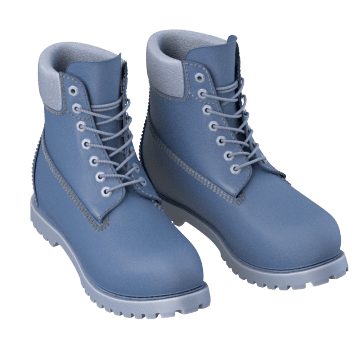 Able to conduct static electricity from the body to ground, these standard style boots reduce static buildup as well as the possibility of electrical shock if the wearer accidentally steps on a live circuit. 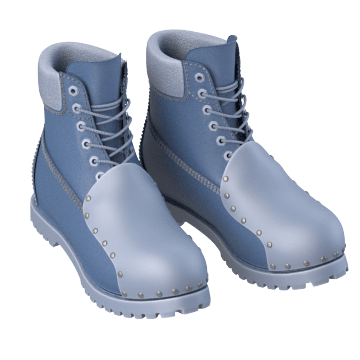 They are also known as antistatic boots, and are commonly used for electronics assembly work and in other static sensitive environments. Static dissipative (SD or ESD) boots meet ASTM F2413-11 section 5.6 specifications for static dissipative footwear. Reduce the risk of electrocution by wearing these boots to protect your feet from electrical shock. They have nonconductive soles and heels to insulate against accidental contact with live circuits, conductors, and other electrically energized parts. 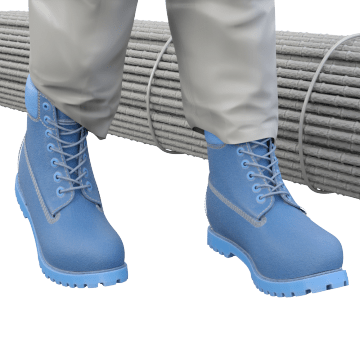 Electrical hazard (EH) rated boots are considered secondary protection and are typically used with other insulating workwear and equipment. They're commonly worn by electricians, construction workers, maintenance personnel, and others who may be exposed to live wires and other potential electrical hazards.